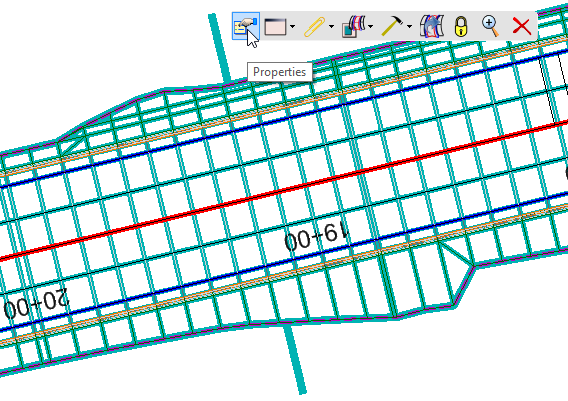 There are two lines generated during modeling in OpenRoads. 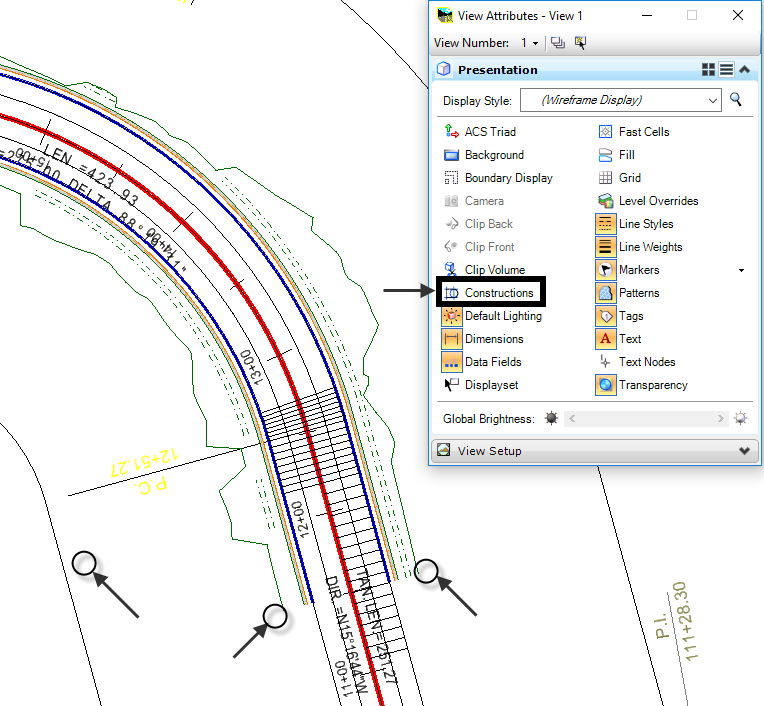 Dependent on which one you select, different context mini tool bars are presented. Corridor Presents itself graphically as a solid line at the daylight or corridor catch points with handles originating from the side of the corridor shape. 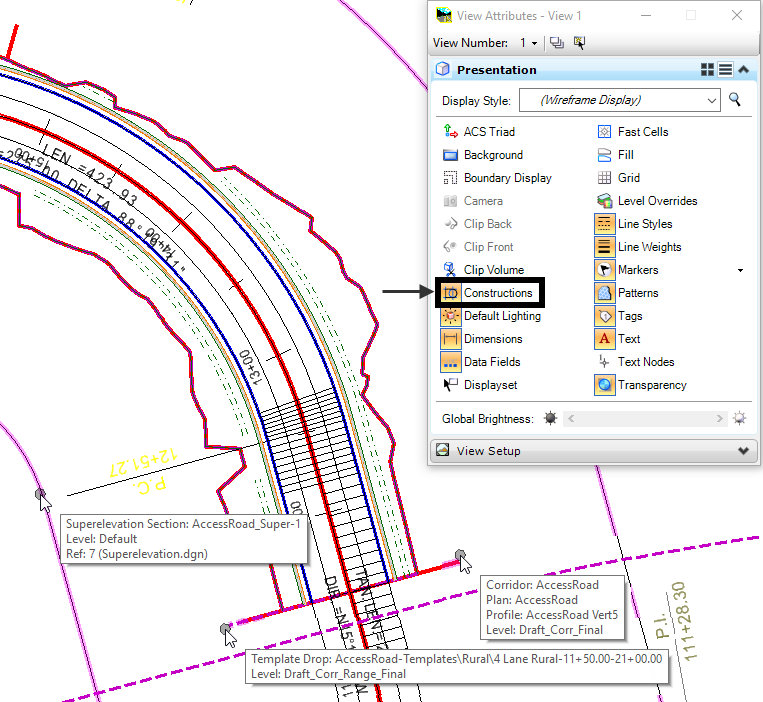 The tools in this mini toolbar create, enhance, and edit the corridor model. Templates Presents itself as a dashed line at the daylight or corridor catch points. 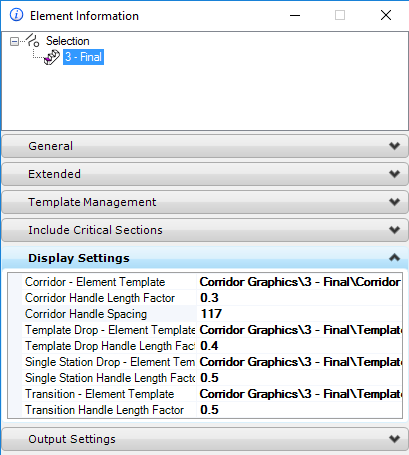 The tools in this mini toolbar create, enhance, and edit the templates. 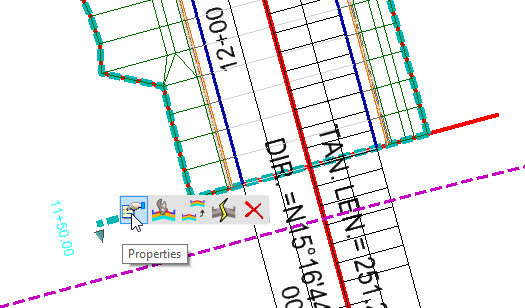 Now all the corridor handles, template limits and even super elevation limits are displayed as Construction Class elements and can be toggled ON or OFF in the View Attributes dialog. You are able to control the corridor handle level and display by viewing the Properties of the Design Stage > Display Settings.